Migrating IT workloads to a public cloud environment such as AWS, Azure, or Google Cloud Platform brings significant benefits. Barracuda security makes it easier for you to get started. The flexibility and scalability of the cloud give you new opportunities to innovate and to grow your business, without the headaches and overhead of managing your own physical infrastructure. While you gradually migrate workloads to a public-cloud environment, you have to manage and secure a hybrid infrastructure—and this prospect may be making you hesitant to get started. Barracuda security products and services are engineered to ease your transition and provide the enhanced security you need in your new cloud infrastructure. They extend seamless security across both on-premises and cloud-hosted environments, and give you single-point visibility and control over your entire security infrastructure. Barracuda CloudGen Firewalls and Web Application Firewalls work identically in the cloud and on premises. No retraining is required—just extend the same protections across your entire infrastructure, using the same tools and interface. Barracuda Cloud Control is the cloud-based, single-pane-of-glass interface that allows you to easily and intuitively manage your entire security infrastructure. Barracuda CloudGen Firewalls are the #1 cloud-generation firewalls on Microsoft Azure. Barracuda Web Application Firewall is the #1 WAF on Amazon Web Services (AWS). 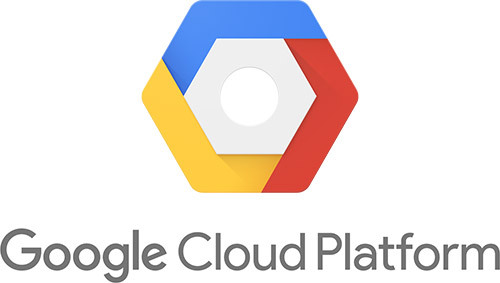 Barracuda CloudGen Firewalls are the first cloud-generation firewalls available on Google Cloud Platform (GCP). Barracuda leverages the innovations and capabilities provided by the leading public cloud vendors, and uses automation to simplify and accelerate security management of the cloud. Barracuda’s security solutions are offered on Azure, AWS, and GCP. Flexible pricing options include bring-your-own-license, pay-as-you-go, and metered, usage-based licensing (where supported). You can combine different types of licenses to leverage autoscaling in the cloud to support peak workloads, or use a single annual license to cover all usage without caps or limits. The most popular cloud platforms—AWS, Azure, and GCP—each have their own unique features, capabilities, and benefits. Fortunately, Barracuda security solutions are available on all three. And no matter which platform you choose, you’ll find that your Barracuda security works identically across your cloud and on-premises environments. For a limited time, Barracuda is offering you a special reason to pull the trigger on your cloud migration project. Our Cloud Ready initiative offers free 30-Day licenses for Barracuda CloudGen Firewall and Barracuda Web Application Firewall in AWS and Azure.